D.M. 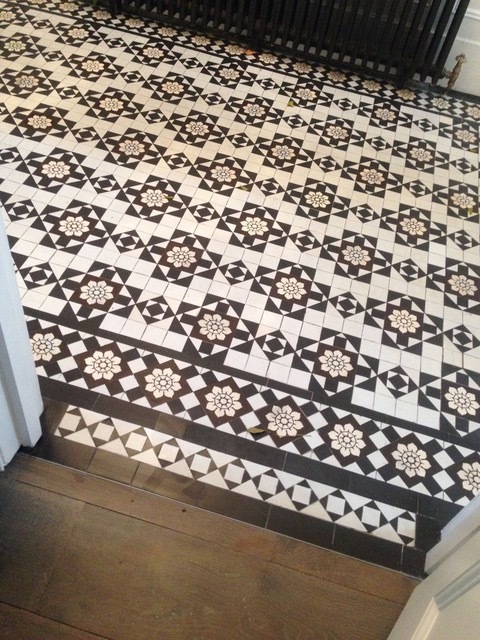 Brazier is an independent tiling and flooring specialist in Dulwich, South East London. Handling everything from surveying & designing, to installation and maintenance, D.M. Brazier are able to ensure the quality of the work done throughout the entire process - leaving your precious Victorian tiling in experienced and capable hands. Working with only the best tile suppliers including Craven Dunnill Jackfield and Winckelmans, the team are able to faithfully replicate, and tastefully transform, any tiled flooring into a more polished, colourful and intriguing space. Using salvaged tiles and/or new reproduction tiles, the team have some leeway to work towards differing budgets. Experienced designers can advise on tile style and colour based on the period and original features of your house. Whether your property is Georgian, Regency, Victorian or Edwardian, D.M. Brazier & Co. have the skill and knowledge base to deliver exceptional, in-keeping tiling solutions. The team also work with Art Deco, Art Nouveau, Modernist, Post-modernist and Contemporary properties to the same effect. Bespoke in-house design from survey to installation. Complete new reproduction Victorian tiling including preparation of the base. Sympathetic designs and plans in keeping with the original period property. Careful extraction and Salvage of tiles for extension into new area. Replication of any Victorian tile design. Supply of reproduction tiles and encaustics. Supply and fit of all outside path sundry items, including coal hole covers, rope edges and daisy grates. Supply and installation of traditional slate matt well including coir matt and tile surround.